Fiber has been shown to promote numerous positive health benefits, including bowel health, blood sugar control, cholesterol reduction and weight maintenance. But pain prevention? Yes, at least knee pain due to arthritis, according to recent research. According to a study of middle-age (early 50’s at the start of the study) adults, people who eat the most fiber are less likely to suffer osteoarthritis-related knee pain and stiffness. The study of more than 1,200 adults found the top quarter of fiber consumers had a significant reduction in their risk of knee OA (61 percent lower risk) compared to the bottom quarter of fiber consumers. Knee OA was assessed nine years after the initial assessments, showing fiber intake earlier in life can have an impact on knee OA risk during later years. The study authors speculate that fiber may reduce the risk by two mechanisms: 1) reducing inflammation, which can cause pain; and 2) helping maintain a healthy weight, which puts less stress on joints and bones. 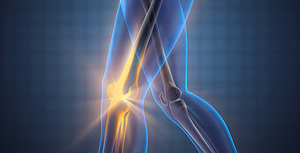 To learn more about osteoarthritis and fiber, talk to your doctor. Click here for five easy ways to get more fiber in your daily diet.